Please meet Tim. 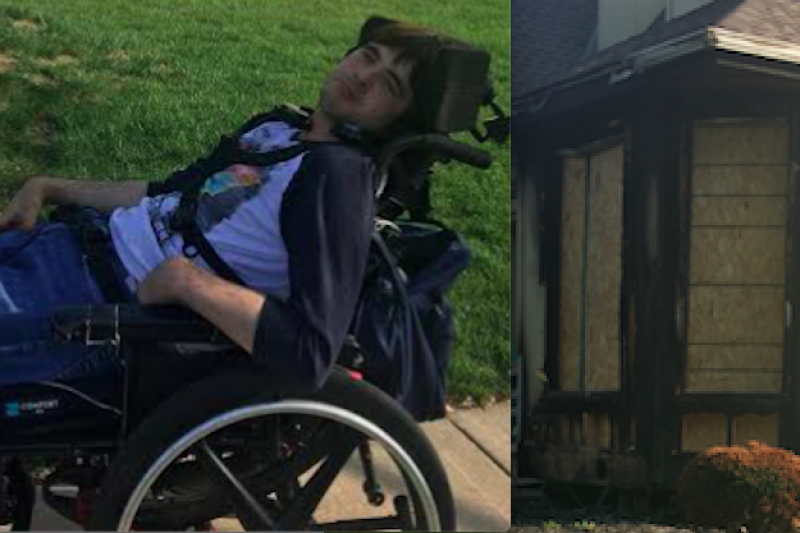 Tragedy struck recently when Tim’s group home, where he lived with 4 of his friends and a caretaker in Overland Park, Kansas, burned down on March 22, 2017. 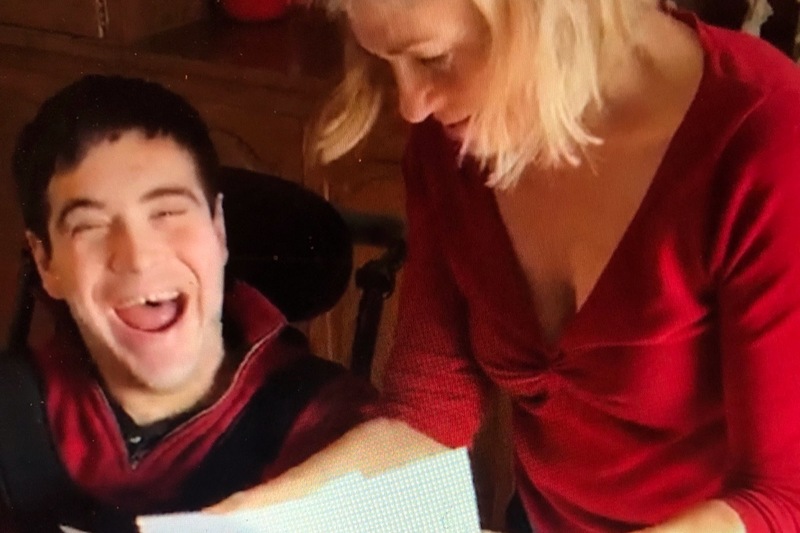 Tim has an extremely rare form of cerebral palsy and is confined to a wheelchair. He is cognitively normal. He knows exactly what happened during the fire and is watching in amazement as your donations are coming in now. My name is Pam Huling and I am the Chief Operating Officer of Blue Chalk Media (bluechalk.com), a video production company. Tim was featured recently--just before the fire!--in one of the most heartwarming short videos we've ever made. I hope you will agree that Tim deserves everything we can give him. to Buy Tim a Home where he can be safe. The home will be purchased through Life Centers of Kansas (lifecentersofkansas.com) and earmarked for him. Jessica Dalton is the Executive Director of this organization. Tim is being sheltered in an apartment temporarily but he needs a permanent home. Tim, Liz and I can't thank you enough for the outpouring of generosity shown already. We are so grateful for your kindness!! This is the last update on this campaign. I just wanted to thank you all for your incredible generosity and let you know that we have a happy ending. After more than a year in "temporary" housing, which was completely sub-par for his needs, Tim has FINALLY moved into an amazing home and also has received, thanks to all of YOU, a brand-new state-of-the-art digital setup in his new room, designed to support his career ambition of being a screenwriter in Hollywood. He now has a new computer, desk, large flatscreen TV, speakers, the works! He can communicate with his fans and write to his heart's content. This is the new home we wanted for Tim--only better. Thank you for making it possible through your contributions of more than $9,000 and love from around the world. Well done, everyone!! It's been a while but we finally have some great news to report! We had been hoping to use the funds raised to help buy Tim a new home but after all this time, he is sadly still in temporary housing. Finding a suitable location for the disabled that is not institutional is very challenging. There is hope that a new home will be found soon but that is not guaranteed. Rather than waiting any longer, we have decided to rock Tim's world where he is now instead. Over the holidays, Tim's mother Liz shared an exciting surprise with Tim, which came from you all: a state-of-the-art home theater system including a new 55 inch TV, surround sound, a MacBookPro computer and more! It will all be installed for him by the Geek Squad at BestBuy in the next few weeks. You can see Tim's reaction in the attached photo. Suffice it to say that your generosity has had a HUGE impact on Tim's life and he cannot thank you enough. Nor can I. This gift will help him to develop his screenwriting and communication skills and further his career. And, when a new home is found, everything will move with him. It will be a game changer. THANK YOU for your overwhelming kindness and patience as we have worked toward this conclusion. It means more than you know and we could not be more thrilled with the outcome! SUPER EXCITING update today, for all fans and GoFundMe supporters of Tim Bartow. 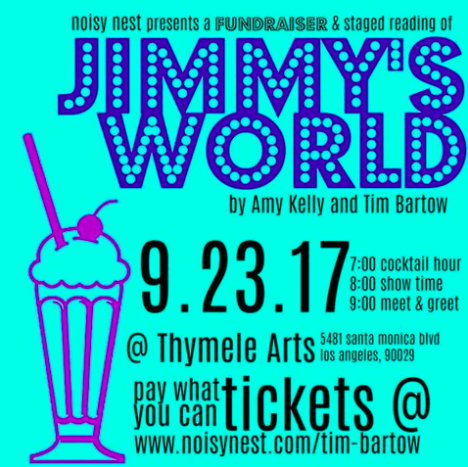 Through the kindness of the Noisy Nest theater group in Beverly Hills, CA, Tim and his mother Liz will experience a reading of his screenplay called Jimmy's World tonight in Los Angeles! A dream come true. And the best part is that you can watch it live on Facebook by going to the Noisy Nest Facebook page tonight at 8pm Pacific (11pm Eastern/10pm Central/9pm Mountain) and share in this once-in-a-lifetime event. THANK YOU ALL for your incredible love and support. Tim is in California right now and having the time of his life. We'll be making decisions soon on how best to use the funds that you have contributed. Still being in temporary housing, the need for Tim's day-to-day living is great, but for today and right now, let's celebrate what an amazing moment this is. And gratitude to Amanda Bird and all of the good people at Noisy Nest for making this possible. Woohoo! 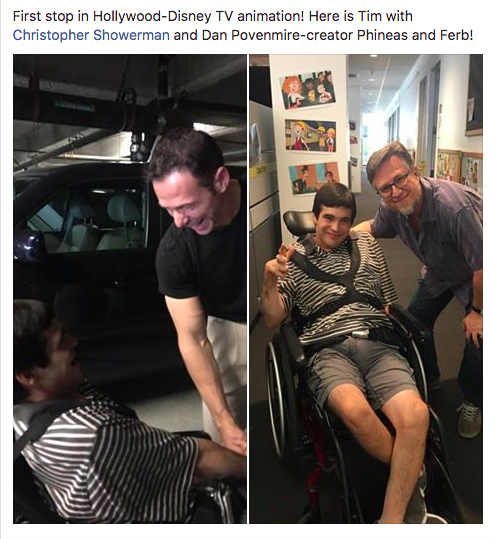 We're over 3 million views of Tim's video and this GoFundMe campaign was specifically mentioned on the Little Things Facebook Live posting. Check it out at 10:48 and watch the emotional reaction Tim's story got. https://www.facebook.com/littlethingscom/videos/869328073276566/ Let's keep it going, everyone! ..and im struggling to get help for a family whose house has been burnt down, amazing world we live in ! You are an inspiration. While this just a little, if many can partially match, match, or exceed this amount the total I'm sure can be a huge help. The hidden cost of being limited in mobility is quite high. Let's help this young man out, and with VR even literally see the world, and help enable him with his dream of being a film maker. Best wishes!! !